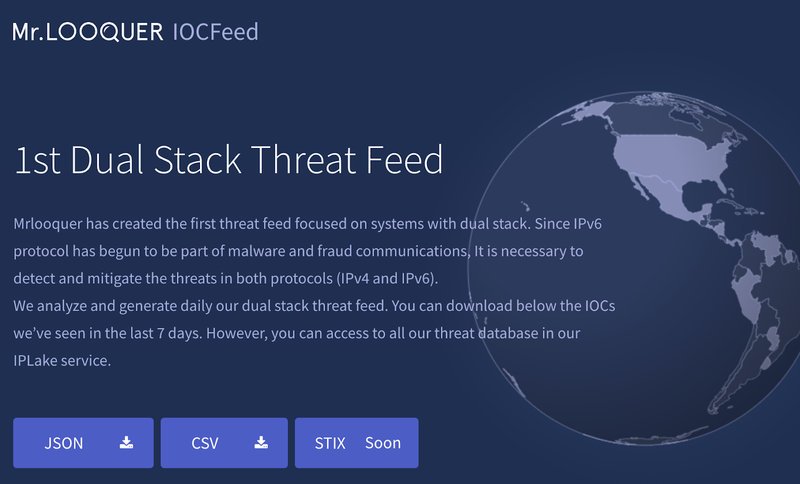 This time we are going to publish the first open feed with information of threats with dual stack (IPv4 and IPv6). You will discover how to get insightful information when you look at IPv6, you can get relations between IOCs using the prefix, open ports with CVEs affecting the threats, wrong dual stack configuration, and much more. We've reached an agreement with one of the top Cybersecurity companies in Spain to offer you this feed and we will invite others to join the project. 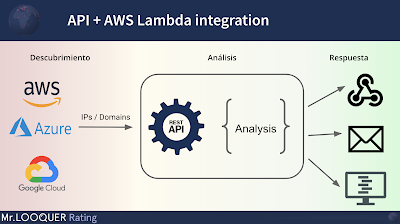 Also, thanks to RootedCON organization we will be able to show new features of MrLooquer Rating and the automatic integration with AWS infrastructures using serverless Lambdas.